A grant from the Economic Social Research Council Impact Acceleration Account (ESRC IAA) has been awarded to ‘Music Education for Integration’ (Odena PI, 2016-2017). 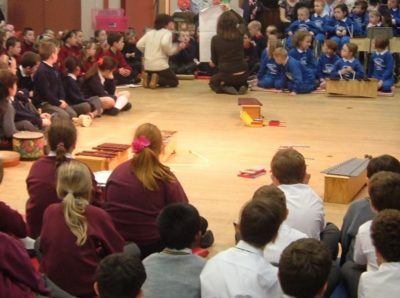 The funds will support a programme of activities aimed at enhancing practitioners’ and education stakeholders’ understanding of music as a tool for integration locally, nationally and internationally. The education landscape is changing in response to globalisation. One of the biggest changes in Scotland has been linked to new patterns of migration: in 2011 there were 40,000 new arrivals, half of them settling in the central belt. Music as an integration tool for children in education settings has been proven useful and is needed because music is a non-discriminatory way of engaging people with little command of the local language. As part of the award a Research Briefing will be produced. The briefing will offer tools to integrate newly arrived children, including a framework, practical examples and strategies to develop new activities. Oscar is Reader in Education and a member of the Robert Owen Centre for Educational Change at Glasgow University. 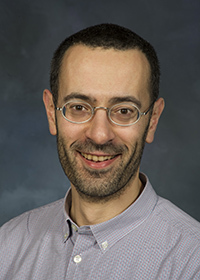 Originally from Spain, he has conducted educational research in a range of contexts nationally and internationally. More information can be found on his Glasgow University webpage.